Been tinkering with mini motos, mini bikes and razor dune buggies for the last couple years and wanted to get something a little more comfortable. 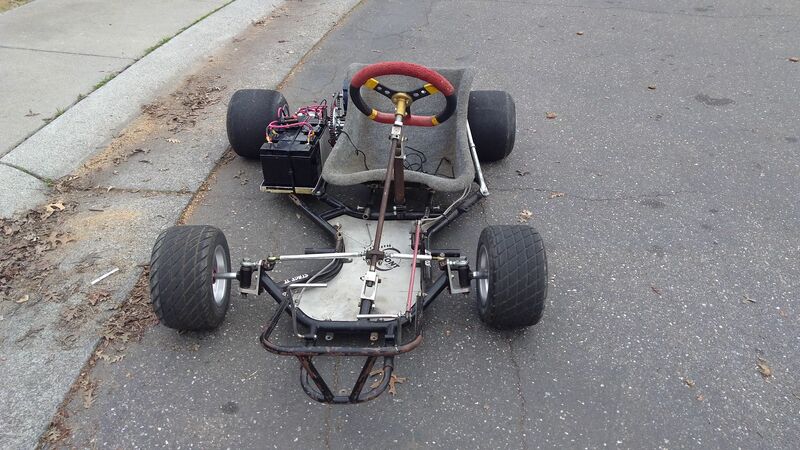 I bought a Leeson motor off ebay for a great deal and after a year of searching I finally picked up a kart racing chassis for a decent price. Pfff! 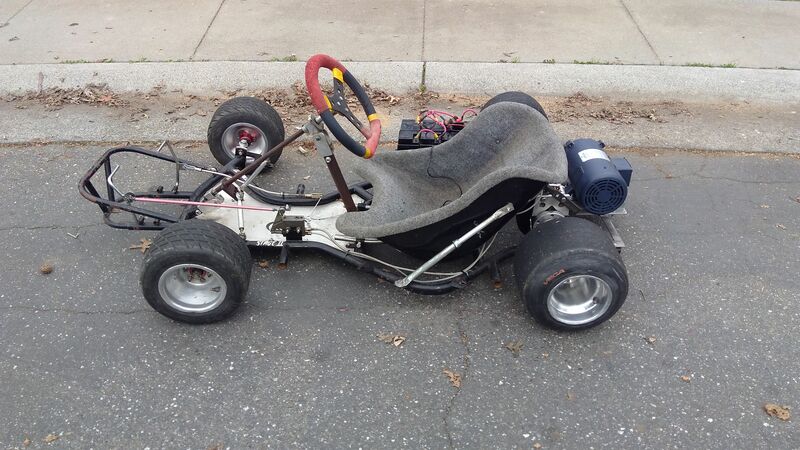 That's go kart is nothing compared to the one someone just gave me! That Leeson looks good! 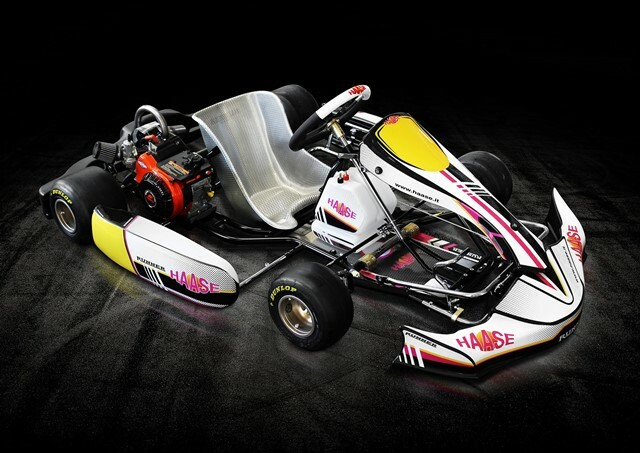 Do you have more pics of the kart? What type of brakes is that? Great idea! Thank you for the video! Edit: It is a disk brake. Ordered new rear axle bearings for her today and just got the cheapo 3pin Chinese foot throttle for it in the mail. Next I need to figure out how to wire up the Kelly. First time using a contacter as well. Looks similar to this all dolled up. Weighs next to nothing and best of all I fit in it comfortably! However, she has been ridden hard and left outside in the rain. So lots of polishing, and once I get her the way I like it I will take it back apart and paint. Thinking black, with all of the alum polished. Another pic from when I picked her up. , so I guess that there is hope for my frame! Quinc wrote: Edit: It is a disk brake. (chuckle), Yeah, I know, (thanks for calling me an idiot! ), what brand and do you have better pics of it? I like the look, (from what I can see), and would like something like that when I build my cart. 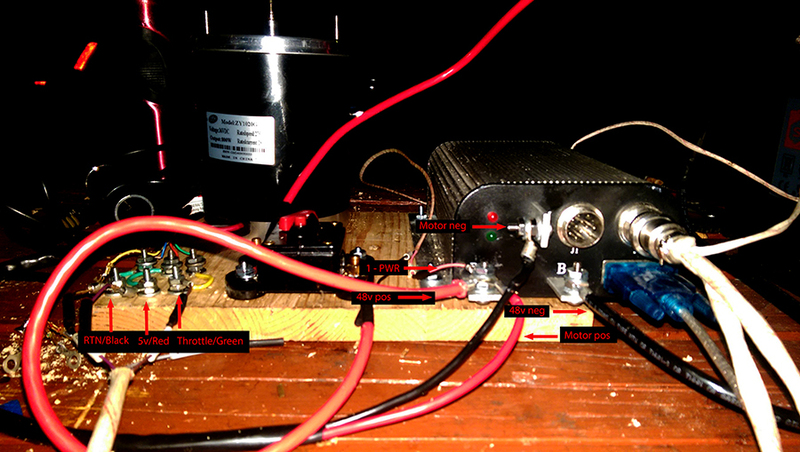 Quinc wrote: Next I need to figure out how to wire up the Kelly. First time using a contacter as well. Apparently the guys company used them for a promo and gave them to him. I only need 4, so if you pay for the shipping, you can have the rest if you want. zogthegreat wrote: , so I guess that there is hope for my frame! Thank you for the offer on the rims and the pic of the kelly! Also any tips on configuring the kelly? I have the cable but haven't messed with it. 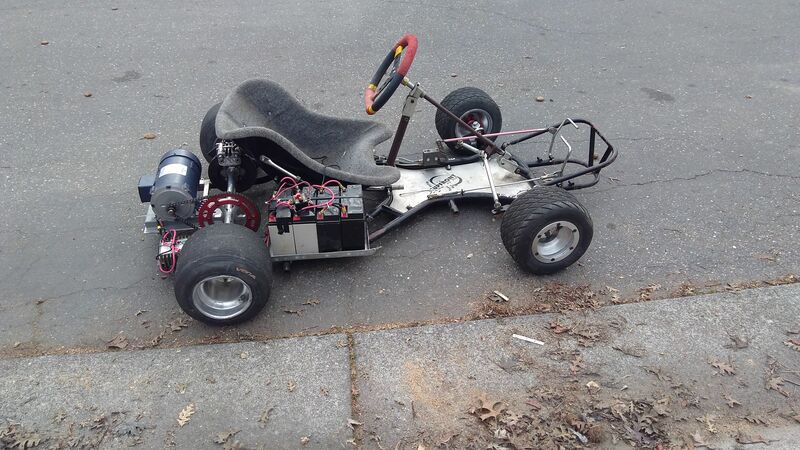 Rims on this kart are pretty rough and look to have been curbed multiple times.. But the tires hold air so going to keep them for now. Rear tires are 11.5x7.1x6. Pulled the Kelly out of the box from when I bought it off ebay a few months back. Looks like it is mostly wired up! However, hoping you can help me in identifying a few things like do I need this DC shunt and where do I wire in the the pos to the motor? Visual diagram of how I think it goes. Contactor, not sure what the green diode looking part is that is also wired on? These go to the J1 cable on/off key, again not sure what the diode thing is for or if it is needed? Shunt? Not sure if needed? Last edited by Quinc on Wed Mar 07, 2018 9:06 am, edited 2 times in total. Quinc wrote: Pulled the Kelly out of the box from when I bought it off ebay a few months back. Looks like it is mostly wired up! However, hoping you can help me in identifying a few things like do I need this DC shunt and where do I wire in the the pos to the motor? The way I set up my shunt was to put it between the battery neg and the controller. 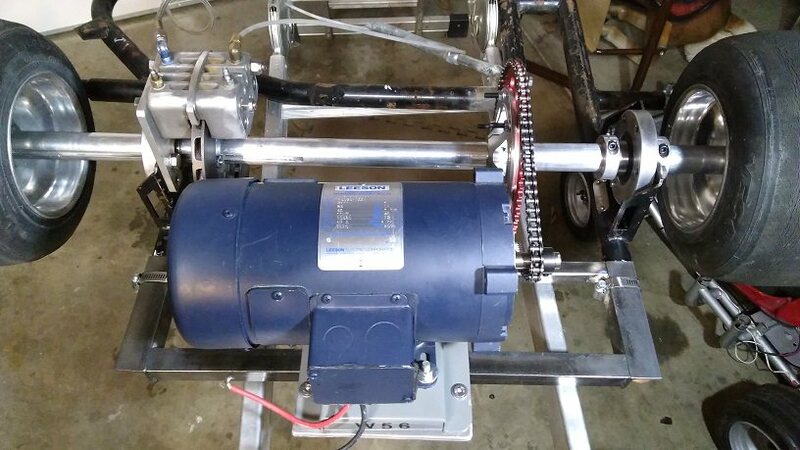 The motor is wired to the "B+" post that the battery positive goes to. (check my picture, I know it looks confusing at first, it befuddled me also). Then hook your motor neg to the "M" post and the battery neg to the "B-" post. Quinc wrote: Contactor, not sure what the green diode looking part is that is also wired on? Another thing is that the manual say's that you need a separate 12v power supply. I was going to use a DC to DC buck converter, but I found out that my Kelly could take the power from my 48v battery setup. Once again, your mileage may vary, so if in doubt, use the converter! Following the Kelly diagram close as I can, and it is giving me an LED error of low voltage. But measuring at the kelly B+ and B- it is getting 27v.. Is the voltage required something that is configured? For instance if the previous owner configured it for 48v and I only have 27v it wont work? Going to bypass all the crap that came with it and give that a shot. I had the same problem. It turns out that the lowest voltage for the Kelly is 48v. See if you can find two more batteries for bench testing. (EDIT) BTW, did you check to see if the batteries that your using are fully charged? I had the low voltage problem and it turn out that my batteries were flat. 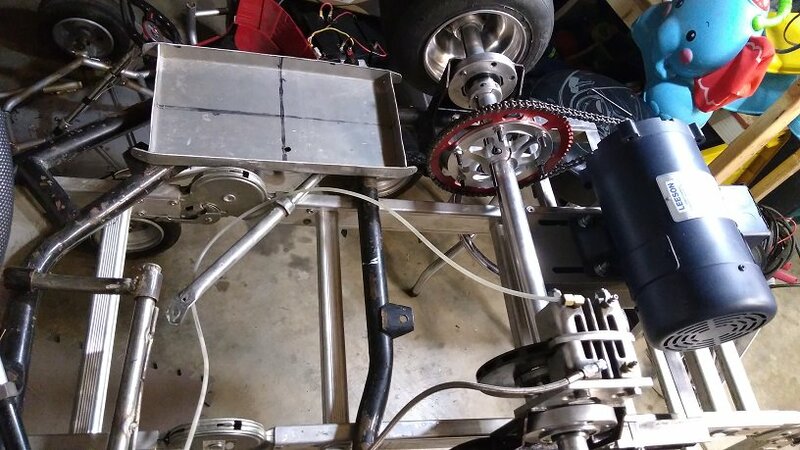 Made some progress on the kart! New sprocket, new axle bearings, my dad came over and welded me up some seat mounts and a battery tray while I was getting my 4 year olds bday party together. I will get some pics up tomorrow. I floated charged the batteries at 1amp until they where both over 13v and still no luck so I sent an email to kelly. Hoping to get off work early tomorrow and try it with48v. Found this video where the brake switch was causing the low voltage error. Not sure if that is my problem so putting it here so i can find it again. 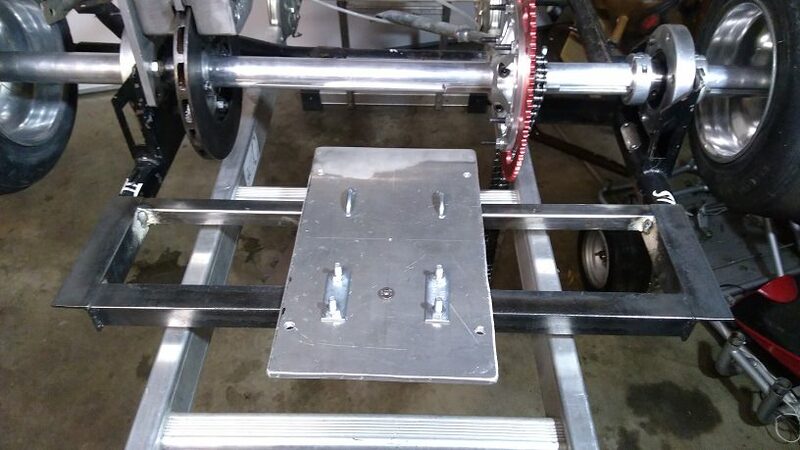 Motor mount is complete! 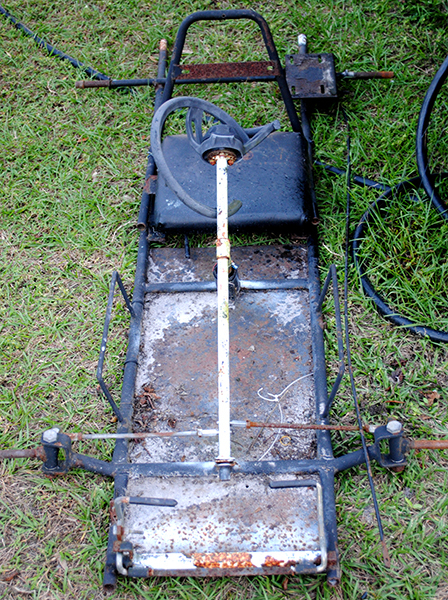 Has the ability to go side to side and back-forth fairly easy. Used a 3/8" plate of aluminum. Test run this weekend! Did a quick hookup of the yi-yun 190amp controller and 4x18ah SLA batteries for 24v 36ah. Made it around the block 4 times and the engine was still ice cold. If I tried to go full throttle from a stop it would cut out. Going to try another 2x18ah batteries for 24v @ 54ah. Doing some research and looks like I need 56ah SLA for 400amps, or I can run 16ah AGM battery for the same 400amps. Pretty interesting. So I might try 4x 35ah AGM batteries. Or if anyone has some electric car cells they want to make me a deal on. 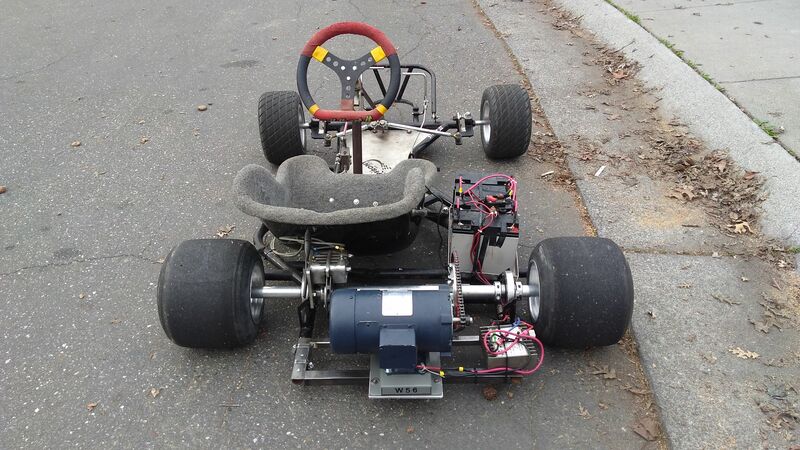 Made some more changes to the kart. Trying to move the weight closer to the front. Change the way the rims are mounted for a tighter turning radius. And GPS'd her at 18mph. Not bad for 24v and 3600 rpms. Probably going to go with a smaller sprocket on the axle as this one has about 1/2" of ground clearance. And still waiting on a good deal for some multistar or leaf cells or something to get me up to 36v+ and capable of enough amps for me to justify hooking up the kelly.